We pride ourselves on our personable approach to legal counsel. Your situation is unique and you deserve to be treated with priority and respect when partnering with a lawyer. We want you to feel confident, safe and secure in your decision to hire a lawyer, and whether you call us directly or walk into our San Jose office, you can rest assured your case will be handled with compassion and professionalism. Arthur A. Ferraro prides himself on being approachable and friendly, but he isn’t hesitant to defend clients in court if necessary. Whether you are dealing with civil proceedings, legal transactions, legal family matters or simply need to protect your rights and your interests, Arthur A. Ferraro Attorney at Law can help. Arthur A. Ferraro Attorney at Law offers legal advice in a wide range of practice areas. We can help with all of your family law, business law, real estate law and/or personal injury needs. Attorney Arthur A. Ferraro has been representing residents of San Jose for more than 35 years, and he’s ready and willing to put that experience in your corner if you’re facing a legal issue. It’s critical that you have knowledge on your side to ensure you receive the best possible outcome for you, your family or your business. 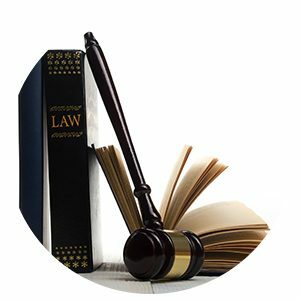 At Arthur A. Ferraro Attorney at Law, we know that most areas of law intersect, creating the need for a comprehensive strategy that ecnompasses a broad range of practice areas. Attorney Arthur A. Ferraro has dedicated his career to helping Bay Area families overcome contentious legal matters. If you or someone you love is currently grappling with a dispute involving divorce, child custody, child support, property distribution and/or alimony, schedule your complimentary consultation today. Arthur A. Ferraro Attorney at Law has been protecting the rights of families in San Jose and throughout the Bay Area since 1980. Dial (408) 985-1060 now to schedule your free consultation.